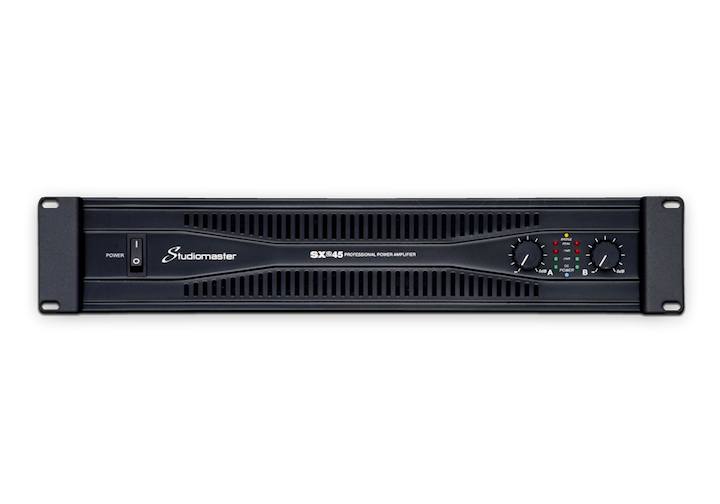 The SX2 range are rugged light weight amplifiers capable of producing high quality sound at all power levels. There are three models in the range, all occupy only 2 rack spaces and are forced cooled via a thermally controlled fan. 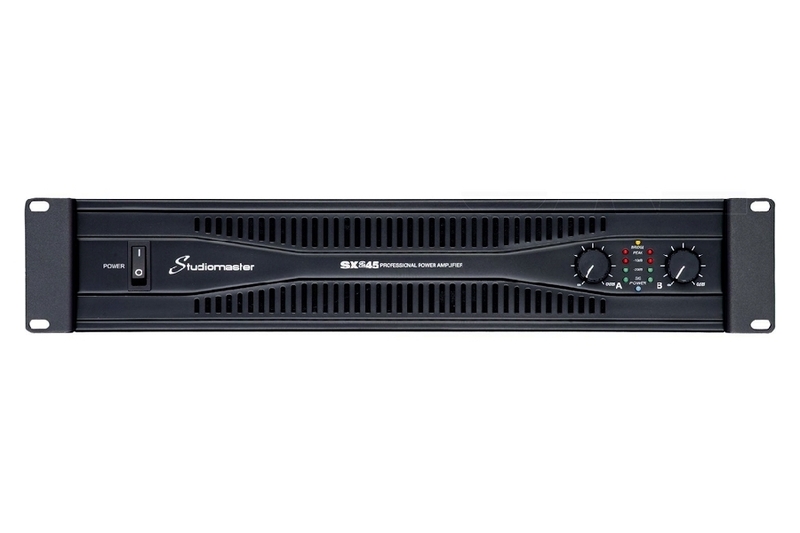 The SX amplifiers have 3 modes of operation, stereo, mono or bridged and the input sensitivity can be trimmed by +/-3dB for system matching. 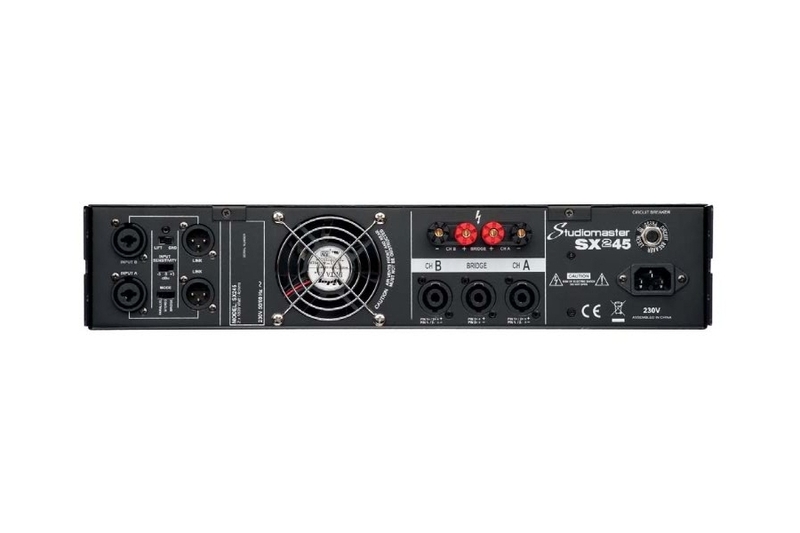 The inputs use combined XLR and Jack socket combination connectors with a separate link socket to feed additional amplifiers. The outputs use industry standard four pole connectors and also binding posts, giving you total flexibility. Front panel status LEDs provide visual indication of signal levels, bridged mode and power. The two large level controls aid precise volume setting and the durable black finish steel cabinet can handle life on the road. With the highest powered model weighing only 16.4kg the SX2 range price/performance ratio is the only choice!